The Shambhala Center of San Francisco is pleased to announce our search for a new Center Director. Our current director, Alex Van Gils will be stepping down in May. We are seeking individuals who possess leadership and interpersonal communication skills, as well as a demonstrated commitment to practice, retreat, and study. The San Francisco Shambhala Center’s Center Director Search Committee will begin to review applications on March 20th. Download a PDF of the full job description and qualifications. The director is the primary regional and international Shambhala leadership representative at the San Francisco Shambhala Center. They represent the Northern California Shambhala region at the local level, and the San Francisco Shambhala Center on the regional level. 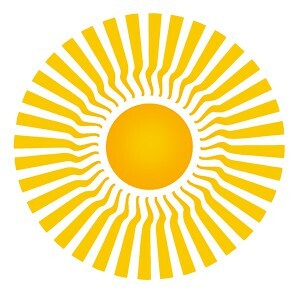 As Center Director their primary role is as a facilitator, mentor, and coach for San Francisco Shambhala Center leaders, volunteers, and members. They support others on the path of leadership and service in order to embody Enlightened Society as a Shambhala community and support Enlightened Society in San Francisco. As Chair of the Governing Council the director will facilitate council meetings to bring out the wisdom and clarity of the group, while simultaneously holding responsibility for the integrity of the lineage. Together with the council they are responsible for developing and guiding a local strategy that supports the regional strategic plan developed by the NCS Regional Board. The director also helps develop financial and organizational operations in the context of the recent financial unification of Northern California Shambhala, the Berkeley Shambhala Center and San Francisco Shambhala Center. Serve on the Northern California Shambhala Regional Board. Contribute to regional and local programming under the unified model. Work with the regional director to develop local strategy. Chair the San Francisco Shambhala Center Governing Council. Study and train as a Shambhala leader. Support the San Francisco Shambhala Community through relationship with members and community meetings. Provide outreach to the greater San Francisco community. Support and attend monthly feasts, open houses and community events as much as possible. Works with Center Chagdzo to oversee local budget and finances. Responsible for the dignity of the center environment. As a regional employee, the center director reports directly to the NCS Regional Director regarding the ongoing development of the SF Shambhala Center and community, as well as the SF Shambhala Center’s participation in regional planning. 1. Devotion and commitment to the Shambhala Lineage. Has completed Enlightened Society Assembly and Ideally Sacred World Assembly. Is committed to ongoing practice and study in the Shambhala Lineage. 2. Commitment to the SF Shambhala Community. Identifies the SF Shambhala Center as their home center. Willingness to continue to train as a leader. Interested in supporting and caring for center members. Able to magnetize community involvement in the center. Interested in greater Shambhala participation in the local community. The above statements are intended to describe the general nature and level of work being performed by people assigned to this job. This description is not intended to be construed as an exhaustive list of all the responsibilities, duties and skills required.